Setting aside time to brainstorm blog topics, structure posts around relevant keywords, optimize calls-to-action and social sharing buttons, and strategically place relevant internal links can sound daunting to many marketers. This is especially true for those marketers who are just starting to ramp up their business blogging efforts and don't have much bandwidth. But what if I were to tell you that, along with writing a few more blog posts per week, optimizing those blog posts and following promotion best practices could increase your blog traffic by over 2,500% in as little as one year? Well, that's exactly what happened to a technology provider called Marco. 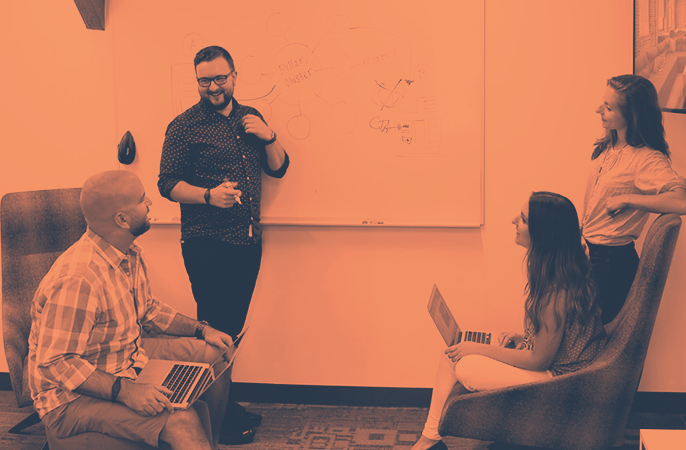 Looking to bring in more leads and customers to their website, the folks at Marco teamed up with HubSpot Partner Leighton Interactive to explore the possibilities of inbound marketing. And after some thoughtful strategizing and hard work, they were able to start a new blog and increase the traffic to that blog by 2,512.5% in a year -- from 88 visits in its first month to 2,299 visits per month a year later. As part of HubSpot's 2015 Year in Review, we wanted to celebrate the success of our partners and the impact they've had on their clients businesses. So I caught up with two folks at Leighton -- Inbound Marketing Manager Simone Haider and Creative Director Brandon Philbrick -- to get the inside scoop on how they set up Marco's new blogging strategy, how they implemented it, and how it impacted their results. Before hiring Leighton Interactive in the summer of 2013, marketers over at Marco had a handful of inbound marketing assets. More specifically, they'd already set up two blogs -- a leadership blog authored by their CEO, and a "CTO Insider" blog authored by their CTO -- on each of which they were publishing one blog post every two weeks. Aside from these blogs, they also did a little bit of email marketing, created a Facebook account, and used Google Analytics to keep track of it all. The trouble was, none of these pieces were working together -- that is, until the team at Leighton stepped in. 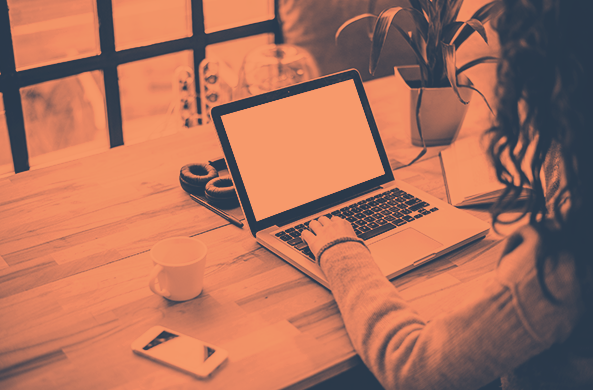 In an effort to help Marco increase traffic to their website, the inbound marketing experts at Leighton recognized that they'd have to start by increasing blog traffic. Why start there? Because the more webpages a website has, the more likely those webpages are to rank in search -- and the more likely the website is to attract visitors who are actually interested in what they offer. Later, they would focus more on the blog's conversion rate, meaning how many people download an offer from one of the calls-to-action after reading a blog post. While Marco already had those two blogs authored by their executives, the topics those blogs covered weren't necessarily what the company's main target customers were searching for or looking to read about. 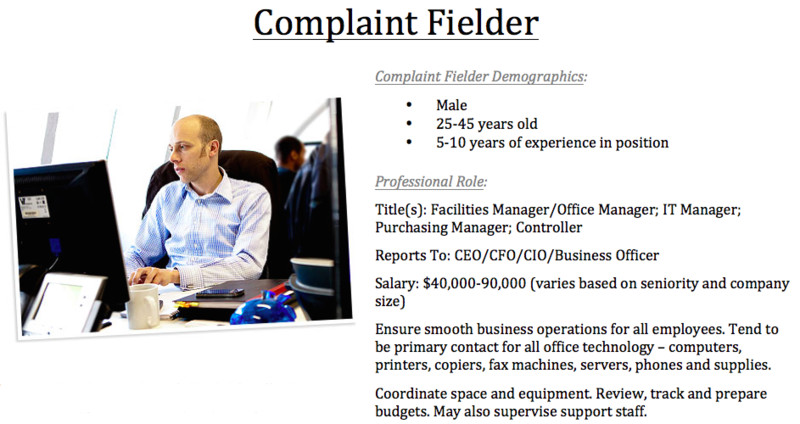 Instead, they were more for executives and chief technology officers, whereas Marco's target buyers were "complaint fielders," which included folks like facilities managers, IT managers, and office managers. The team at Leighton knew they wanted to build out a new blog to help Marco increase their traffic -- but they weren't exactly sure what the blog should be about. To get some initial guidance on topic generation and keyword research for the blog, they needed to first research and create buyer personas. What does that mean, exactly? Buyer personas are semi-fictional representations of your ideal customers, based on market research and real data about your existing customers. To research these personas, the folks at Leighton did a lot of interviews and brainstorming sessions with Marco's sales team -- i.e. the people who were actually talking to the company's customers. "In hindsight, we wish we'd gotten a test group of people similar to our customers together for interviews to get input outside the actual company," said Haider. But they made it work by talking to the sales team and filling in buyer persona templates, which you can download for free here. Once Haider and her team had helped Marco create buyer personas, they had a much better idea of what types of content they wanted to cover on the new blog. Marco's main buyer persona was that facilities manager/IT manager/office manager, so they decided the topic of the new blog would be "general technology," where they'd write blog posts focusing on advice and techniques for using technology in the workplace. Then, they built out an initial editorial calendar by downloading this blog editorial calendar template and deciding how many posts they could write per week. Deciding how many blog posts to commit to writing is a common question for content marketers. 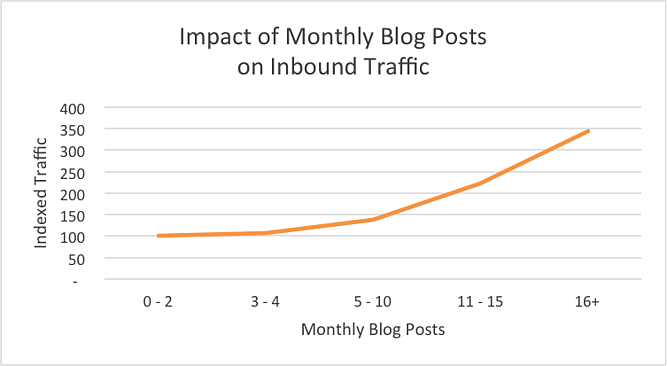 Research shows that companies that published 16+ blog posts per month got almost 3.5X more inbound traffic than companies that published between 0–4 monthly posts. To start out, Leighton was able to commit to writing three new posts per week for the new blog, with the goal of increasing that number to four or five posts per week within a year if they were seeing a solid traffic increase to the blog. As any practiced inbound marketer knows, call-to-action (CTA) buttons are a critical component of your website's lead generation process -- especially on your blog. Without CTAs, people visiting your blog will have a hard time converting into leads. Before Leighton stepped in, Marco wasn't using any calls-to-action on their two existing blogs. Because of that, Philbrick explained, "there was a lot of missed opportunity for converting visitors to leads." "Need Technology Advice? Ask a Marco Advisor": 7.26% conversion rate in the first six months. "Free Assessment": 18.33% conversion rate in the first six months. About three months after getting the blog started with those bottom-of-the-funnel CTAs, they took their CTAs to the next level by creating a brand new offer. This didn't require a ton of heavy lifting, as they were able to repurpose a preexisting FAQ document that Marco's sales team already had on hand. The result of the new CTA? A 16.28% conversion rate in the first month it launched. Six months after jumpstarting the general technology blog, Leighton helped Marco redesign their blog to optimize it using SEO best practices, as well as restructuring the site map. This SEO revamp ended up having a huge impact on blog traffic in that first year. Linking to other blog posts. They linked to 1–2 other, relevant blog posts in each new blog post they wrote, which is a best practice called internal linking. They also used the keywords they were targeting for in that blog post in the anchor text for each link. Later, Leighton would help make Marco's whole website responsive to mobile devices, which was key for creating a great user experience for mobile readers -- especially those searching Google on their mobile devices. Step 5: Promoting blog posts on other marketing channels. In an effort to showcase Marco's new blog design six months after the start of their project, the folks at Leighton helped them organize a launch campaign using multiple marketing channels. The campaign used email marketing and social media marketing and pointed viewers to the blog. "We shared it out across all of Marco’s social networks, encouraging viewers to read our blog about the redesign and comment about what they liked," said Philbrick. To promote engagement with these posts, they organized a giveaway for an iPad Mini and a bluetooth speaker for those who commented. At the same time, they were also helping Marco promote their first annual "Technology Gone Wild" tradeshow, a more traditional marketing effort they used inbound marketing to promote via several marketing channels, including social media, email, and blog posts -- which also contributed to an uptick in views. From July 2013 -- the first month Leighton launched the new blog -- until a year later, the new blog on general technology went from 88 blog visits to 2,249 blog visits a year later in July 2014, resulting in a blog traffic increase of 2,512.5%. What did that increase in blog visits look like, exactly? The first month the blog was launched, it started at 88 visits. By the second month, it had increased to 250 visits. And by November and December (which tends to be a lower-traffic month thanks to the holidays), they were hovering around 300–400 visits per month. There was a significant increase in traffic from December (336 visits) to the following month (1,899 visits). That was exactly when Leighton helped Marco launch a redesign of the new, SEO-friendly blog, launched an awareness campaign promoting the newly launched redesign, and promoted their event using blog posts and other marketing channels. The best part of all of these inbound efforts? "Marketing became, for the first time in our history, a direct revenue-generating force," said Jeff Gau, CEO of Marco, about the results of their inbound marketing push. To increase revenue from your website, companies need to get found online, generate leads, and then convert those leads into sales. Writing blog posts, optimizing those posts for traffic and leads, and promoting those posts on other marketing channels can help you accomplish all three. "With a concerted and focused effort of all marketing tactics, we were able to get a huge push in blog visits and spike our search rankings, which will continue to compound and build from there," added Philbrick. If you master each step, you can turn your blog into a consistent source of leads -- and eventually, revenue -- for years to come. 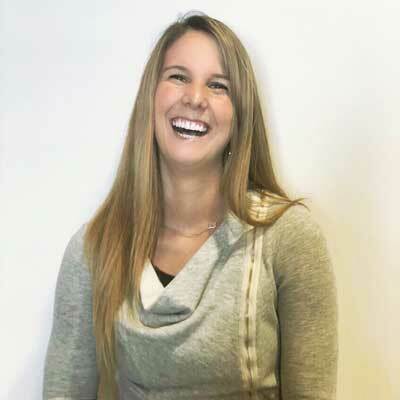 Want to see who else in the inbound community has seen success? Check out HubSpot's 2015 Year in Review.